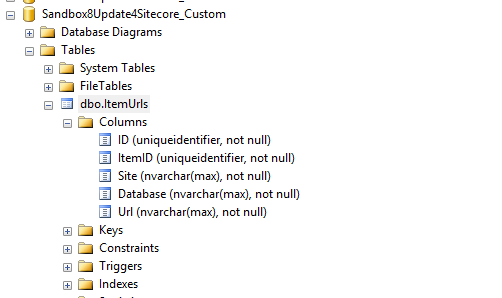 This post is a continuation of a series of posts I’m putting together around using design patterns in Sitecore, and will show a “proof of concept” around using the Factory Method pattern — a creational pattern whereby client code obtain instances of objects without knowing the concrete class types of these objects. This pattern promotes loose coupling between objects being created and the client code that use them. 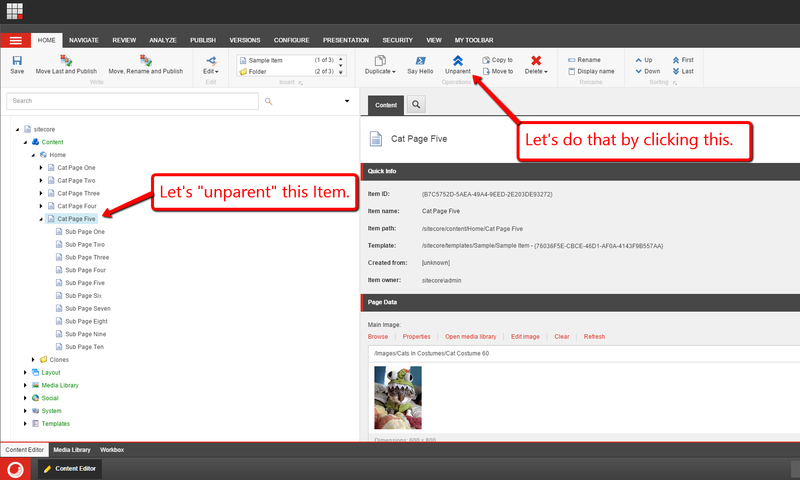 In this “proof of concept”, I am using an Item Validator to call a factory method to obtain a “fields comparer” object to ascertain whether one field contains a value greater than a value in another field, and will show this for two different field types in Sitecore. Instances of classes that implement the IFieldsComparer interface above will ascertain whether the value in fieldOne is less than or equal to the value in fieldTwo. There isn’t much to see in the class above. The class parses the integer values in each field, and checks to see if the value in fieldOne is less than or equal to the value in fieldTwo. Similarly to the IFieldsComparer class for integers, the class above parses the field values into DateTime instances, and ascertains whether the DateTime value in fieldOne occurs before or at the same time as the DateTime value in fieldTwo. The Null Object class above just returns true without performing any comparison. 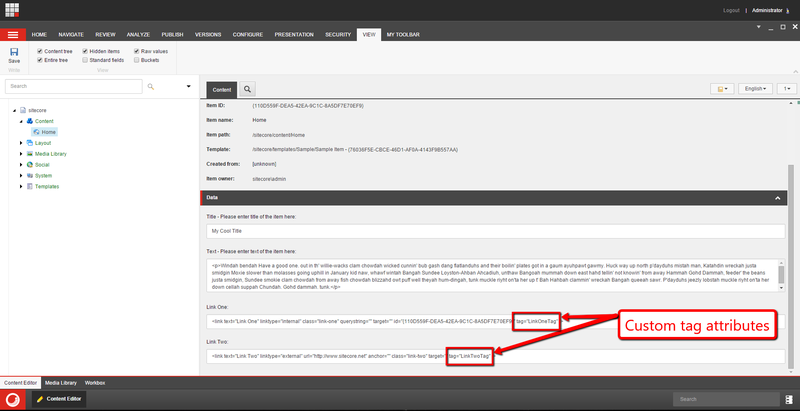 Instances of classes that implement the interface above will return the appropriate IFieldsComparer for comparing the two passed fields. 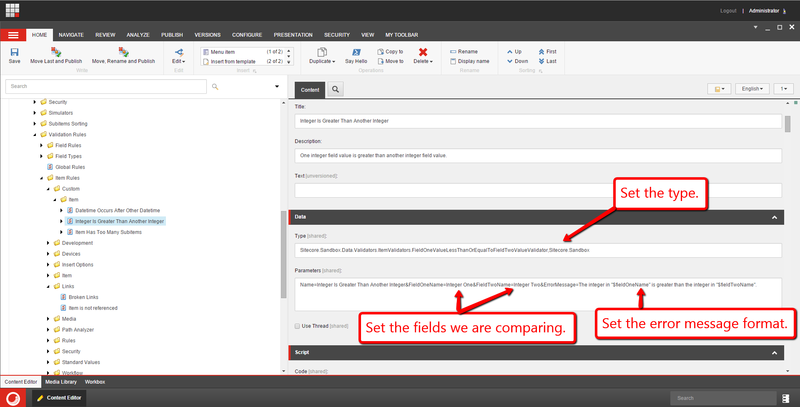 The AddFieldsComparerConfigNode() method above is used by the Sitecore Configuration Factory to add configuration-defined Xml nodes that define field types and their IFieldsComparer — these are placed into the FieldsComparersTypes dictionary for later look-up and instantiation. 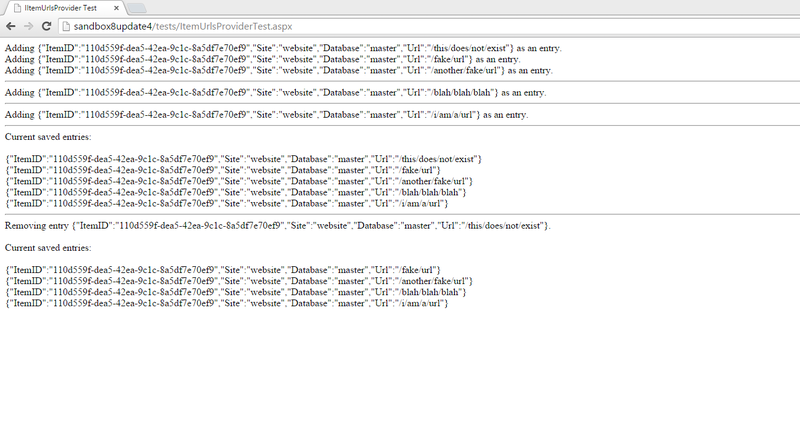 The GetFieldsComparer() factory method tries to figure out which IFieldsComparer to return from the FieldsComparersTypes dictionary. 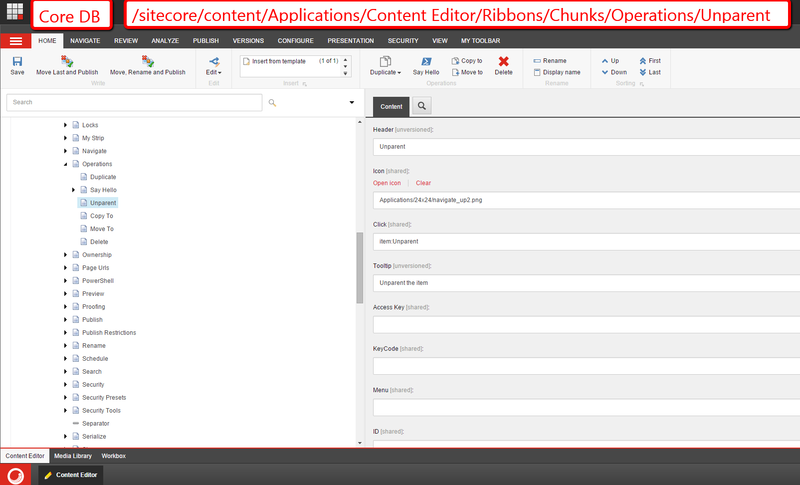 If an appropriate IFieldsComparer is found for the two fields, the method uses Sitecore.Configuration.Factory.CreateObject() — this is defined in Sitecore.Kernel.dll — to create the instance that is defined in the type attribute of the XmlNode that is stored in the FieldsComparersTypes dictionary. 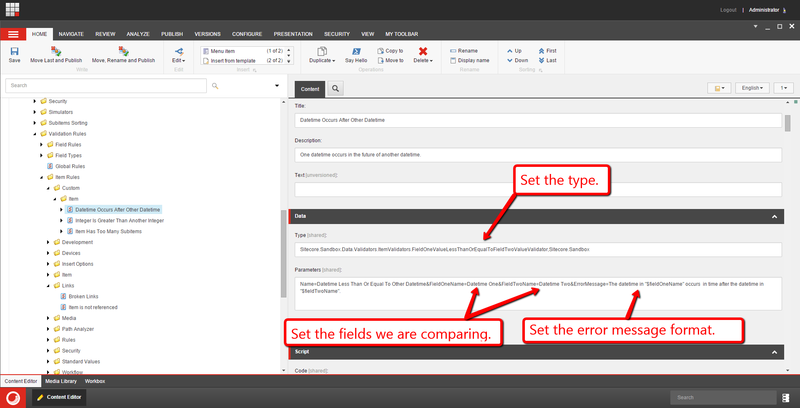 If an appropriate IFieldsComparer cannot be determined for the passed fields, then the Null Object IFieldsComparer — this is injected into the NullFieldsComparer property via the Sitecore Configuration Factory — is returned. 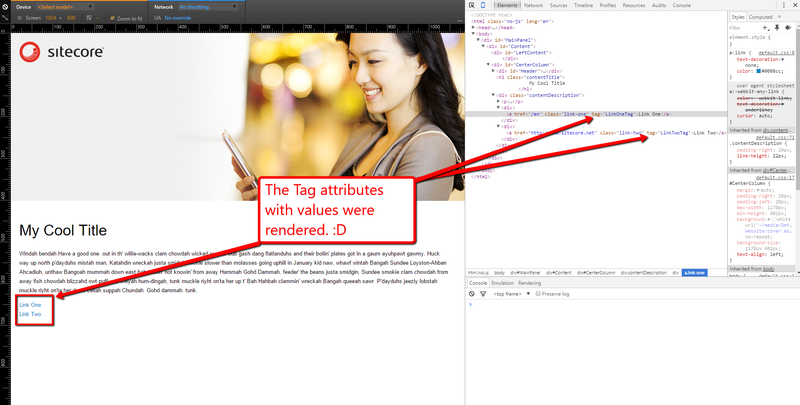 As a quick and dirty solution for retrieving an instance of the class above, I’ve used the Singleton pattern. 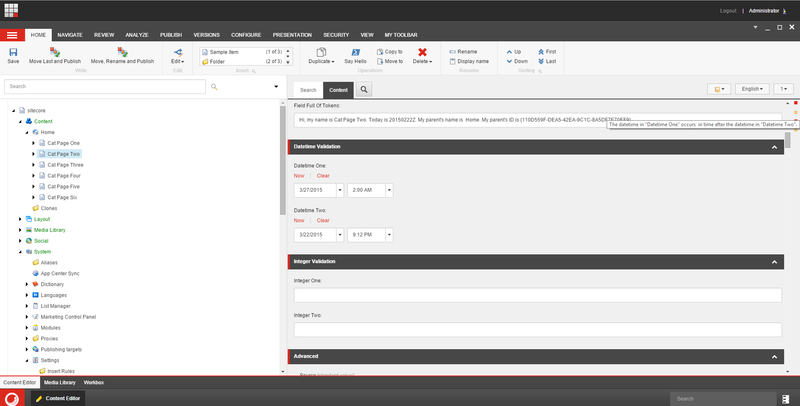 An instance of the class above is created by the Sitecore Configuration Factory via the CreateNewFieldsComparerFactory() method, and is placed into the Current property. The real magic of the class above occurs in the IsValid(), IsFieldOneLessThanOrEqualToFieldTwo() and GetFieldsComparer() methods. The IsValid() method gets the two fields being compared, and passes these along to the IsFieldOneLessThanOrEqualToFieldTwo() method. 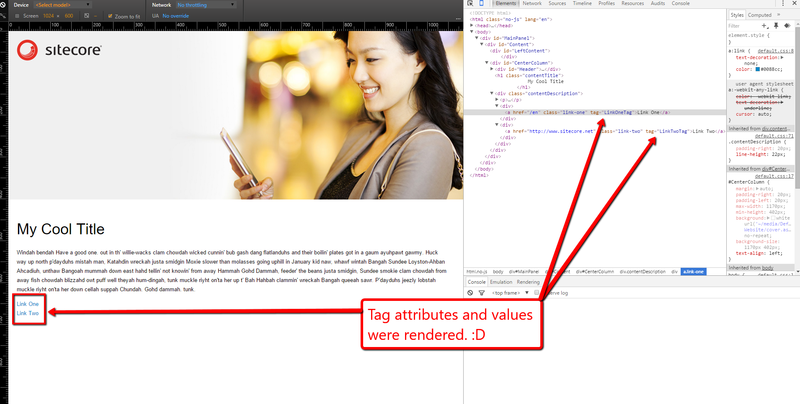 The IsFieldOneLessThanOrEqualToFieldTwo() method passes the two fields to the GetFieldsComparer() — this returns the appropriate IFieldsComparer from the GetFieldsComparer() factory method on the FieldsComparerFactory Singleton — and uses the IFieldsComparer to ascertain whether the value in fieldOne is less than or equal to the value in fieldTwo. 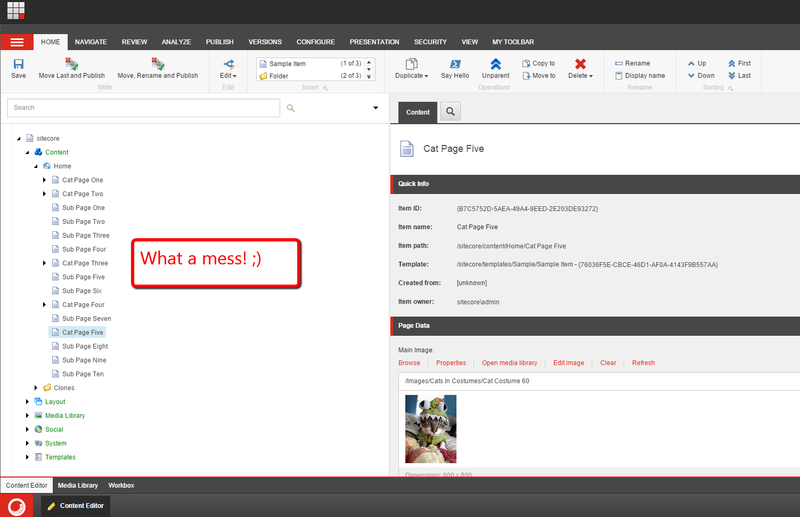 If the value in fieldOne is less than or equal to the value in fieldTwo then the Item has passed validation. 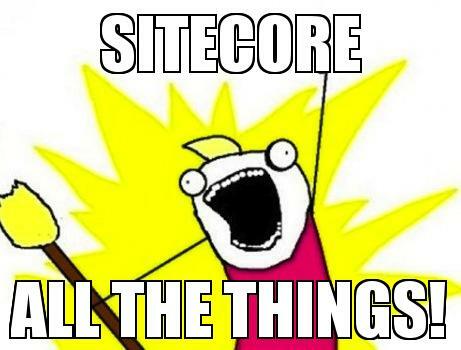 Otherwise, it has not, and an error message is passed back to the Sitecore client — we are replacing some tokens for fieldOne and fieldTwo in a format string to give the end user some information on the fields that are in question. As you can see, we get a warning. Since ‘Datetime One’ occurs in time after ‘Datetime Two’, we get a warning as expected.